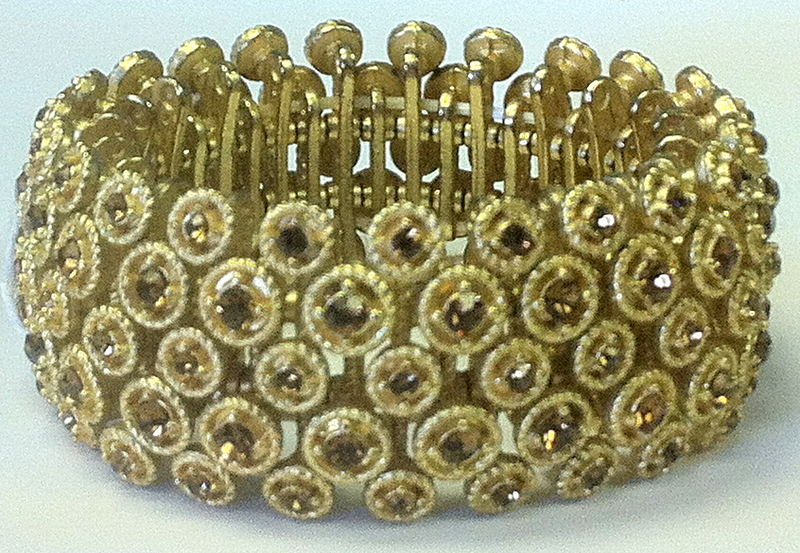 Bejewel yourself with these fantastic bracelets. Cuffs, stretch slip ons loaded with bling for that extra sparkle we all love. 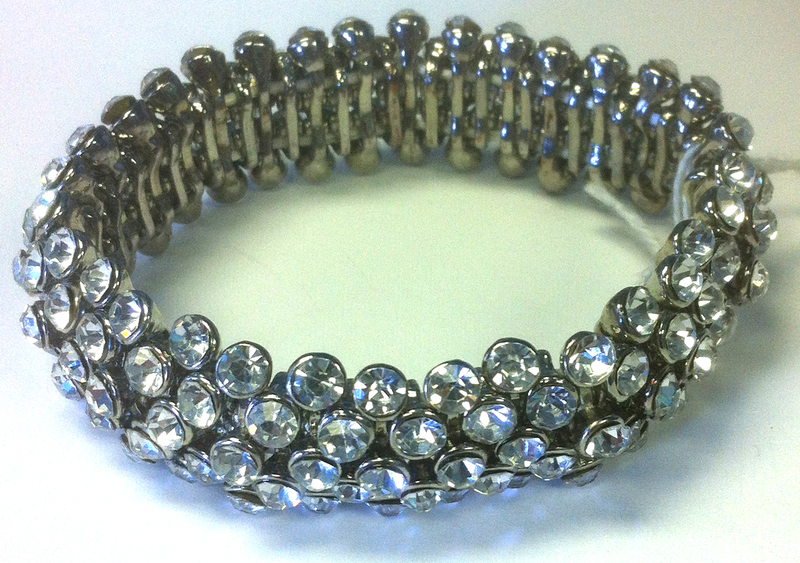 Shine like a rock star with the gorgeous crystal studded bracelet. Five rows of clear crytals with metal backing. Each stone is set into a bezel with rope effect. 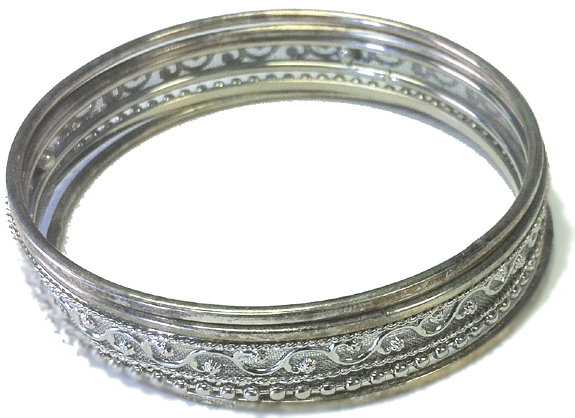 Stretch pull on style with all metal backing.